Spring is here and it’s time to make some new decorations for our lovely home! This is an extremely fun way to get some spring inspirations, yet which will bring you a possibility for some quality family time. With so many ideas you can stumble upon, sometimes it’s hard to pick just one or even few! However, we did the browsing for you and in this article, you can read more about ten amazing crafts that require too much time or even money. Scroll along and choose your favorite – we’re curious to know which one you chose! 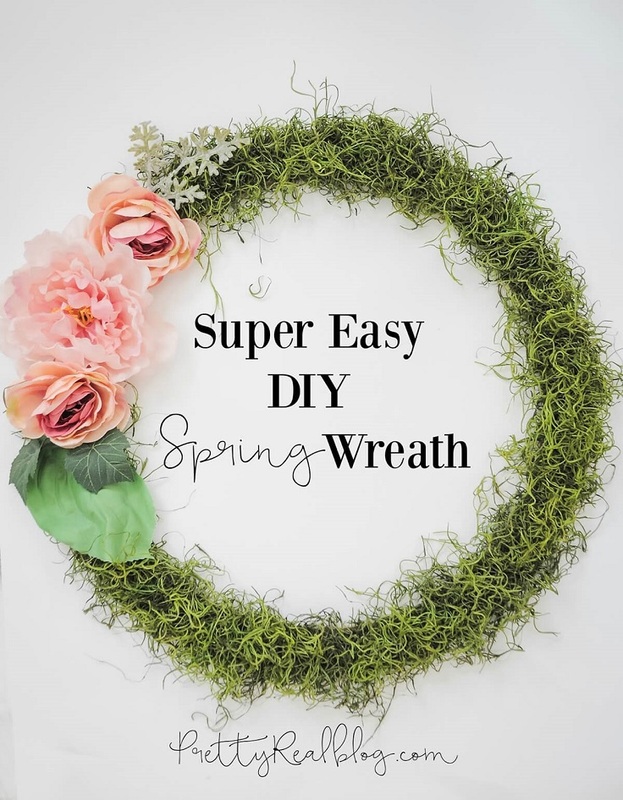 Spring is one of the best seasons for creating a wreath! There are plenty of materials that you can use and we’re not talking only about plastic or fabric – how about fresh things got straight out of nature? 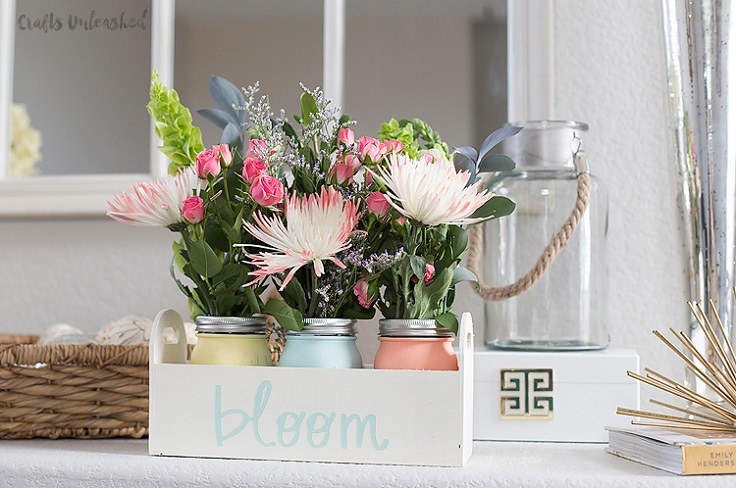 This project uses faux flowers, but feel free to use fresh ones as well! Besides them, you will also need flower craft ring, spray adhesive, and moss. A combination of Mod Podge and mason jars offers so many ideas on crafting. There are plenty of decorations that you can do and each of them is so lovely! 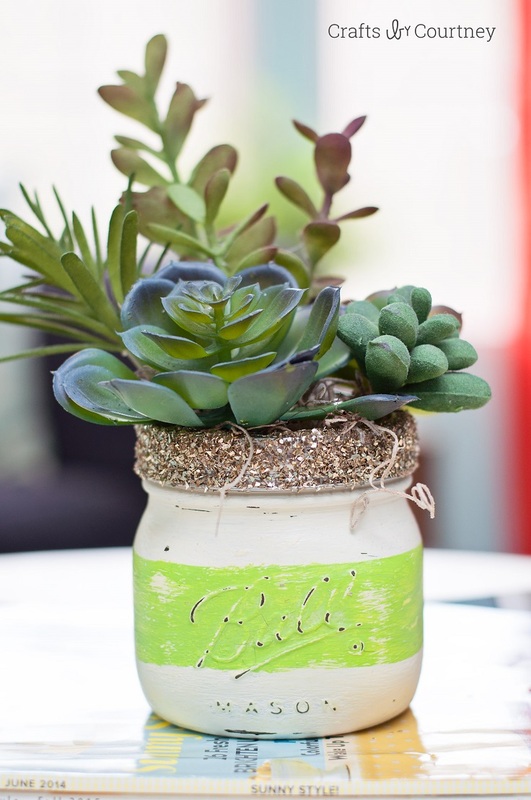 For a spring-inspired project, you can use old mason jars as your succulent planters. 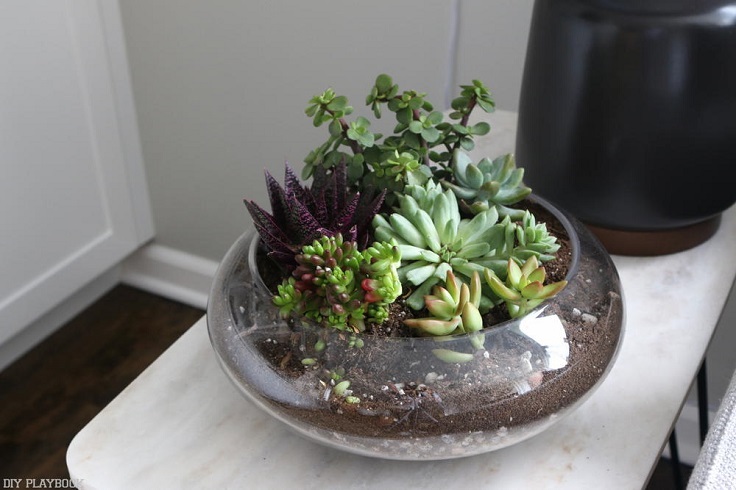 However, in this project are used faux succulents, but you can try it out with real ones as well. You will need chalk paint and chalk finish, glitter, moss, and dry foam. This is definitely one of the easiest and most fun projects on the list. Again, our star here is the good old mason jar. Get more of it and get creative – paint the jars in different colors, wait for them to dry and use them later as your new vintage vase. To make things even more beautiful, gather all of them in one wood planter box. Feel free to decorate even more if you want to – the box leaves you with plenty of space for drawing, writing, and painting! Monogram letters are such a unique home decoration, especially when they’re made out of moss and flowers – you don’t get to see this type of decoration everywhere! 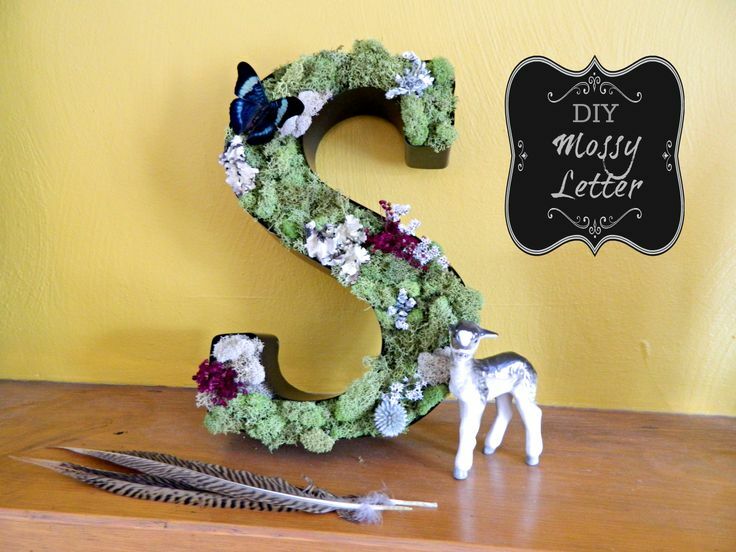 To make your own monogram letter, you need a metal letter, assorted moss, dried flowers such as German Statice and white Lepto, tissue paper, glue and plastic butterflies. This is super easy and it guarantees a quality family time! The terrarium is just another project that lets you play with plants and soil. Once you start doing it, you get to see how creative you can be with so little! The terrarium doesn’t need to be big – it can literally be made in a glass. This all depends on how big you want it, so choose a bowl according to your needs. Besides this, you also need succulents and soil, rocks and pebbles for decoration, gardening gloves and drop cloth. 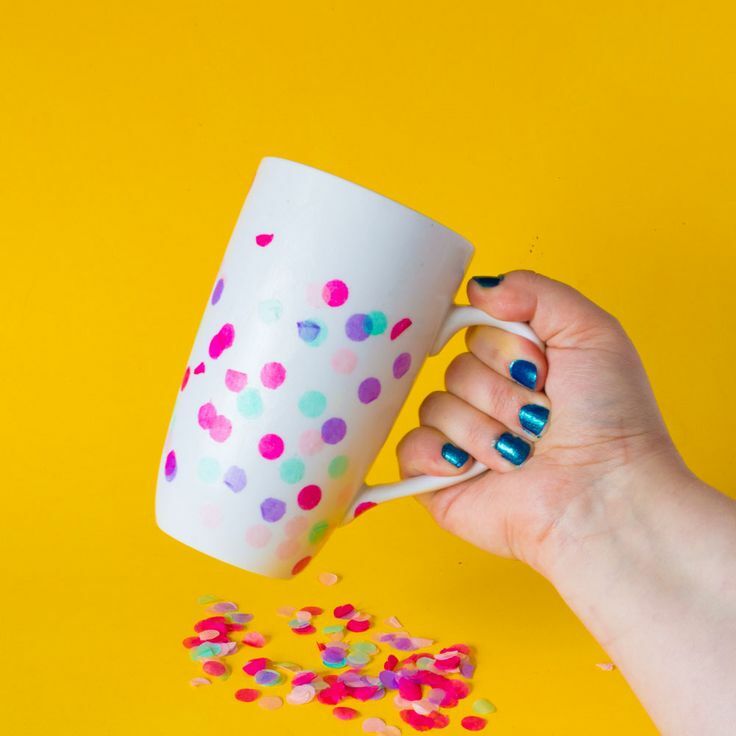 The confetti mug not only will serve you as a great coffee or tea mug, but it will also serve as a nice display in your kitchen. Being small and colorful, the confetti really know how to be such eye-catching detail and bring some joyful vibes no matter where you place the item! This is a very budget-friendly project that can be a nice gift as well! To make your own mug, you need tissue paper confetti, dishwasher-safe Mod Podge, and a foam brush. Plants are one of the best ways to make your home more beautiful – you will never go wrong with plants as your decoration. Make sure to pick plants according to your taste and needs and arrange them in a hanging basket garden. 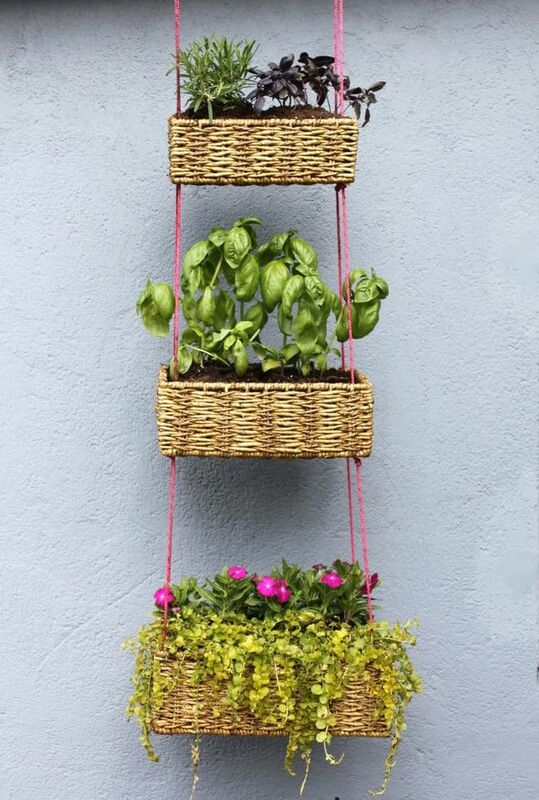 You can buy such in stores or if you feel more crafty you can make your own by using woven baskets, braided polyester rope and potting soil for your plants. 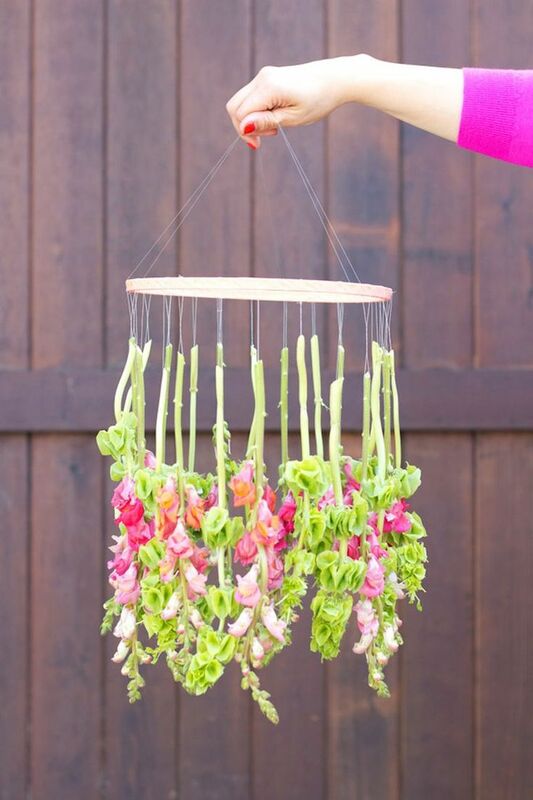 One of the best uses for fresh flowers beside as a bouquet is to use them for a hanging chandelier. No matter if you choose the same type of flower or decide to play and pick different varieties, this chandelier will turn heads – it really is that beautiful. The flowers used in this project are Snapdragons – it’s important to pick long-stem flowers for the project. Make sure to get an embroidery hoop, washi tape, clear thread, needle, small metal ring or clip and scissors. 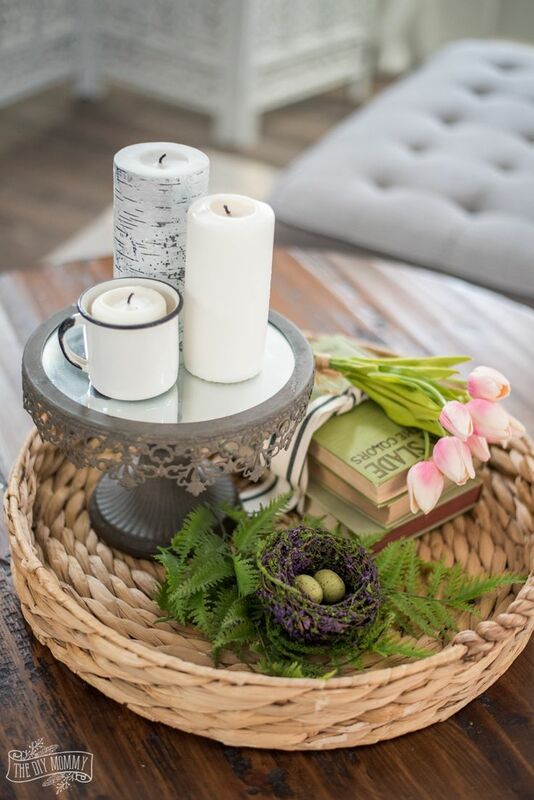 If you don’t feel like crafting, another super easy way to come up with a new home decoration is by gathering spring-inspired items and arrange them as a gorgeous coffee table decor! For this, you don’t even need to buy stuff – most likely you already have them at home. Pick your favorite tray and place inside different items, such as fresh flowers and greenery, vintage books and candles. It’s simple, yet so beautiful. Another eco-friendly project that you can use for your garden. 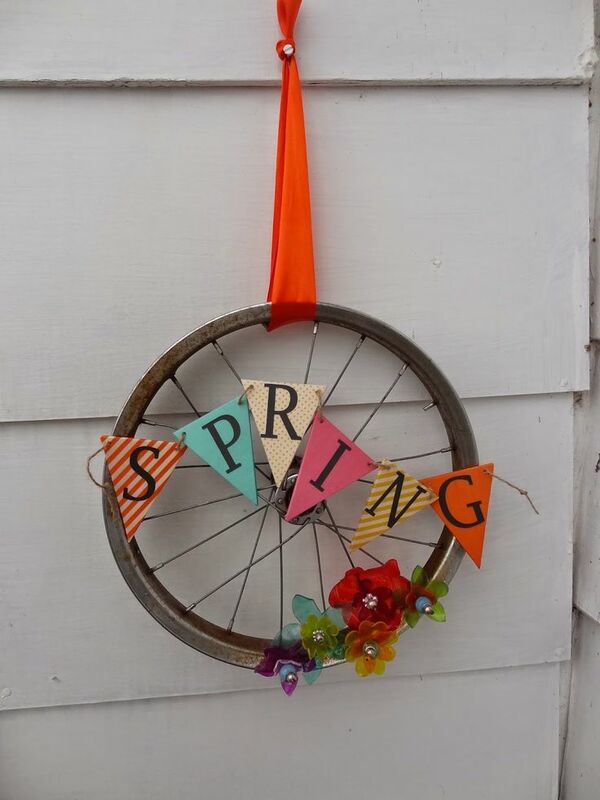 The main material here is the old bike wheel turned into a beautiful carnival-inspired decoration. For this project, you will also need other materials and tools, including twine, adhesive glue, vinyl, washi paper, wire pliers, and flowers made by using shrinky dink plastic. Get the materials and get creative – your garden deserves this kind of decoration!